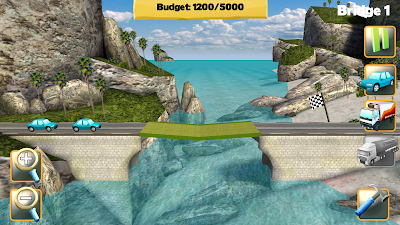 Get two cars across the gap by building a bridge. 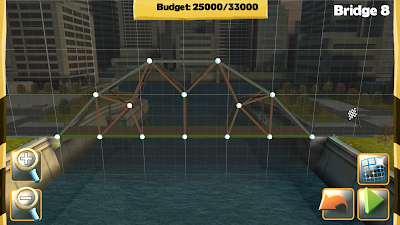 Bridge Constructor is a bridge simulation game where you build bridges under a budget that is strong enough to get two cars across. Of course, you'll do better if you can get two trucks across (when I play I go straight for the two trucks). Note that after completing the main campaign, you can revisit previous levels with an additional budget and try to get an oil truck across. For a harder challenge, try getting two trucks across. 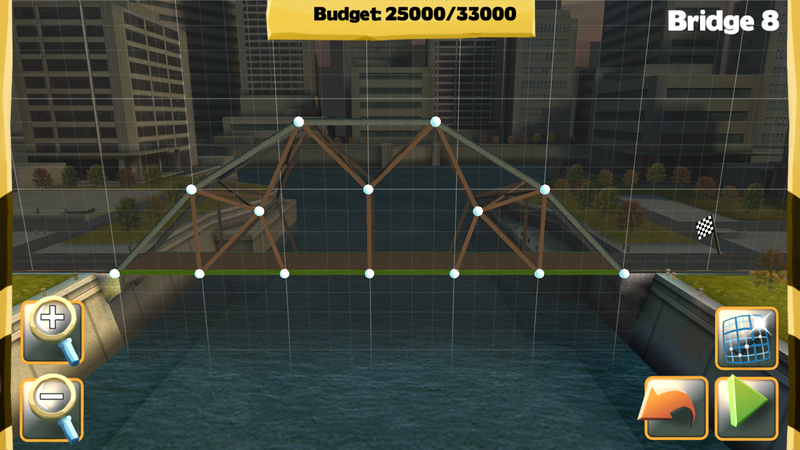 While it's pretty fun to make bridges, the game does not provide the player with any advice on building complex bridges. Furthermore, the PC version of the game looks much more fun and interesting than the Android version. Assuming I took at least one screenshot every day that I played, then I have thus far played Bridge Constructor on the following days: 20141010, 20141016, 20141027, 20141028, 20141029, 20141030, 20141031, 20141101, 20141102, 20141104, 20141105, 20141107. An example of the build mode. 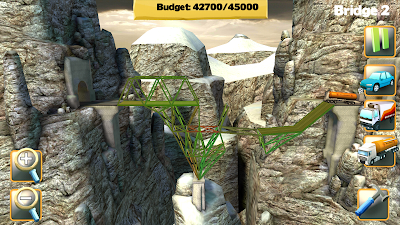 Today I played a little bit of Bridge Constructor while waiting for the BART - it was my first time playing. 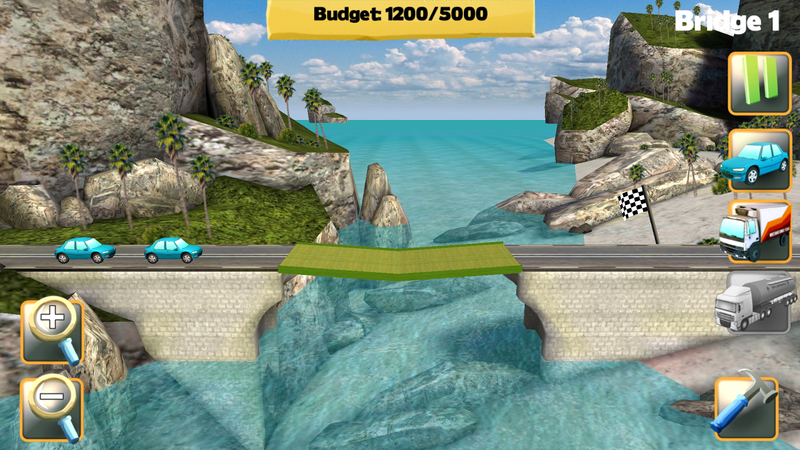 The first few levels are designed to introduce the game's interface to the player. Appropriately, they are quite easy to complete. 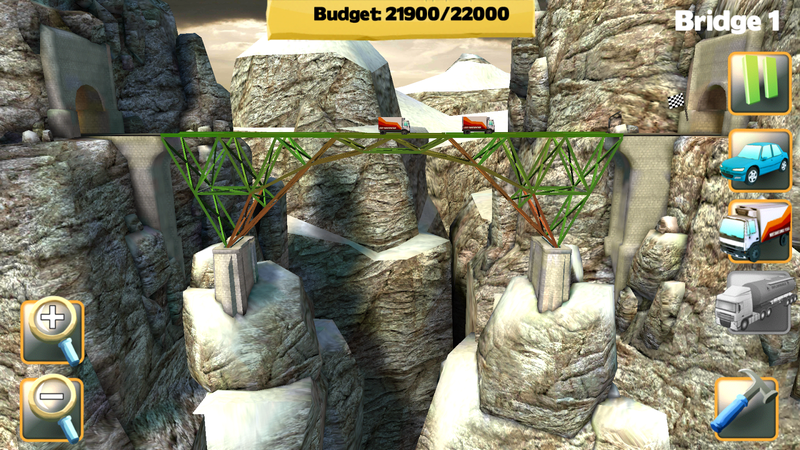 Bridge Constructor is interesting because it doesn't make any attempts to give tips or describe any physics. As far as I know, the game is based entirely trial and error. While the bridge collapsed, the oil truck made it across!